This is the third quarter 2009 edition of our hedge fund portfolio tracking series. If you're unfamiliar with tracking hedge fund movements or SEC filings, check out our series preface on hedge fund 13F filings. 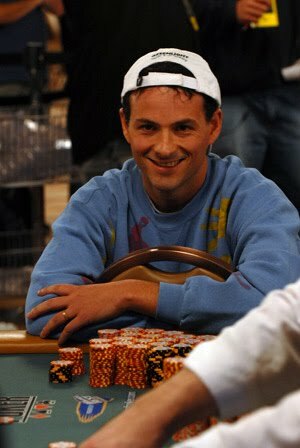 Next up in our series is David Einhorn's hedge fund Greenlight Capital. Around the end of October, Einhorn's fund was up 30% year-to-date and had recouped all losses from last year. Greenlight is a $6 billion hedge fund that focuses on value investing with a focus on spin-offs. They have seen solid annual returns of over 20% and are a great fund to track. To get a better idea as to how Greenlight constructs and researches their investment themes, we highly recommend checking out Einhorn's book Fooling Some of the People All of the Time: A Long Short Story . Greenlight typically approaches things by identifying mispricings in the markets and then proceeding from there. We cover Einhorn's hedge fund extensively on the blog and have detailed their recent movements, so make sure you also check out Einhorn's presentation at the Value Investing Congress, as well as his insight from the Great Investors Best Ideas conference. Keep in mind that the positions listed below were Greenlight's long equity, note, and options holdings as of September 30th, 2009 as filed with the SEC. We don't cover every single portfolio maneuver, as we instead focus on all the big moves. All holdings are common stock unless otherwise denoted. Please note that the portfolio percentages listed directly above for their 15 largest US equity holdings do not take into consideration their positions in other markets, cash holdings, or short positions. Greenlight is notable for often holding large overseas stakes in addition to their US equities listed above and we just wanted to remind everyone that the longs listed in this article are not representative of their entire hedge fund portfolio. SEC filings only require them to disclose long positions held in American markets. Turning to the data we just examined, we see that Greenlight Capital actually left a lot of their portfolio positions unchanged as they neither bought nor sold shares in many names. Not to mention, a lot of their portfolio changes were already detailed in their recent investor letter. However, we do have a few changes to touch on based on their latest 13F filing. Firstly, they boosted their stake in Cardinal Health (CAH) to a much higher portfolio allocation. Additionally, they added in size to their HealthNet (HNT) position. This one is interesting because we recently saw hedge fund colleague Dan Loeb and his Third Point add HNT shares to their portfolio as well. Couple all of this with the fact that they started a brand new position in CareFusion (CFN) which was recently spun off from Cardinal Health. Greenlight is playing the healthcare and medicine theme quite heavily here. Not to mention, their largest holding is Pfizer (PFE) which means their top 3 holdings are all related to medicine in one form or another. Stakes they sold completely out of that were notable include Allegheny Energy, Harman, and Helix Energy. They also took some profits and sold some shares in ATP Oil & Gas (ATPG) as this name has been on a tear, up over 170% year-to-date for 2009. In terms of positions Greenlight already owned but added heavily to, we see that they boosted their stake in Microsoft (MSFT) significantly. Keep in mind that while Einhorn has disclosed his position in the gold miners via GDX, we cannot see his massive gold position because he moved away from the gold trust ETF ticker GLD a while ago and he is now storing physical gold. Einhorn recently sung the praises of gold in his presentation at the Value Investing Congress as well as in his remarks from the Great Investors' Best Ideas symposium. In addition to his position in the gold miner exchange traded fund, Einhorn also started a brand new stake in specific miner Barrick Gold (ABX). We just want to make sure everyone is still aware that physical gold is by far and away one of Greenlight's largest portfolio positions even though we cannot see it in the filings. Turning to companies Einhorn is negative on, we got a glimpse at one of his prized short positions when he detailed why he is short the ratings agencies. Additionally, in a recent investor letter we saw that Greenlight's short portfolio contains 'credit-sensitive financial institutions and REITs'. Specifically citing the REITs, Einhorn says that most of their shorts in this space have cap rates of around 6% and have dividend yields under 5%. Time to start taking guesses as to which financials and REITs he's short. In terms of overseas positions, we know that Einhorn had been selling shares of Punch Taverns (LON: PUB) as well. Assets from the collective holdings reported to the SEC via 13F filing were $2.6 billion this quarter compared to $2.8 billion last quarter, so a slight downtick in assets invested in long US equities. Please keep in mind that when we state "percentage of portfolio," we are referring to the percentage of assets reported on the 13F filing. Since these filings only report longs (and not shorts or cash positions), the percentages are skewed. Realistically, the position percentages are more watered down in their actual hedge fund portfolio. This is just one of the 40+ prominent funds that we'll be covering in our Q3 2009 hedge fund portfolio series. We've already covered Seth Klarman's Baupost Group Bill Ackman's Pershing Square, Stephen Mandel's Lone Pine Capital, and Dan Loeb's Third Point LLC so check back daily as we'll be posting up a new hedge fund each morning.